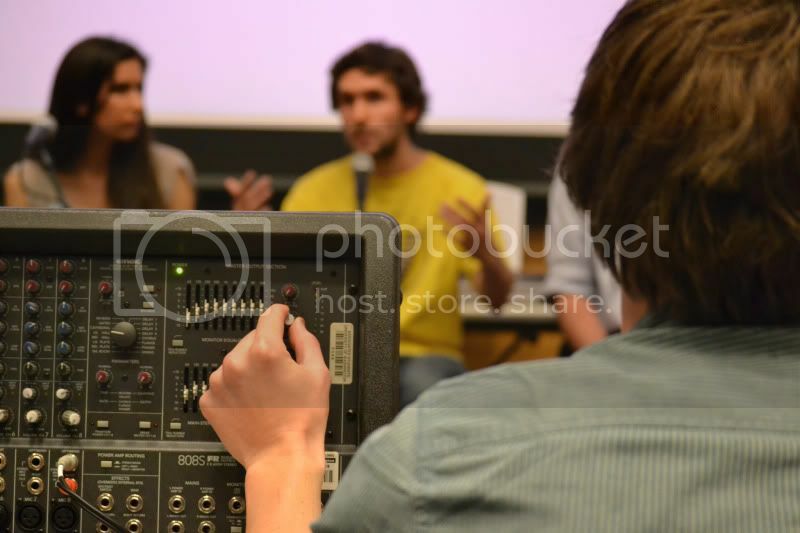 Took pictures of the first ever ASUW presidential debate today. It was...interesting. A little boring. But let's be honest, everyone was there to see Fred Ness, right? 1. I found my water bottle. 2. I found my iPod. After nearly 5 weeks of silent bus rides, I almost certain I've gone slightly insane. So some normalcy will be restored tomorrow. It is now happily charging to my left. 'Tis a wonderful thing. 3. We finally had our first Peru meeting! Got to see about 2/3 of the group and mainly talked about the logistics of the trip. It looks like I won't be able to blog while I'm there because we won't even have cellphone reception for most of the time let alone an internet connection. I will just have to keep a journal and do daily posts about each day when I get back. I even got a 32GB memory card today...haha. Yeah, I know. You're like, when on earth am I going to need 32GB? Geez. The sad thing is I will probably fill it up. With that much storage space I will never have to fear deleting pictures to make room for more. I actually had to make this terrible choice during my Europe trip a couple of years back. After looking at my pictures from the trip, I realized half my photos were of Prague and about 20 pictures of Rome...So I'm not going to let that happen again! Maybe I can do some video too! Ooooh. Excitement.